Drug-Aware offers a wide range of cost effective drugs and alcohol awareness training courses and workplace drug policy development and implementation services for employers. AUDIO: Employers - Click Play to Listen! 1 or 2 hour staff briefings, half or full day training for managers or two day workshops for your in-house trainers to cascade training down throughout your workforce. Half day courses for any members of staff who will carry out drugs and alcohol testing for the company. One or two day workshops for managers to consider all of the key issues relating to the development of their drugs and alcohol policy. Our structured guidance and training result in a highly functional policy by the end of the workshop. For those companies who already have a draft document or a policy in place, we can review their document against a number of key criteria to ensure that their policy is both efficient and legally defensible. With drug policies being our key area of expertise, we can always find improvements which make the policy easier to operate or more legally defensible. For companies wishing to implement a sound drugs and alcohol policy, our consultants can carry out the majority of the hard work for you, leaving you free to continue the day-to-day management of your organisation. Simply answer a series of questions that our consultant will put to you and await a finalised product. It is standard practice to have your key managers, union / staff representatives review the document before implementation, but the service is based upon a single fee, so any potential alterations can be made without cost. For information on training that supports our range of drug test kits, please visit our drug testing kit section. Substance misuse has been proven to increase accidents, ill health, absenteeism and to reduce productivity which costs companies like yours thousands of pounds every year. To help employers combat this, Drug-Aware is pleased to offer an easy, cost effective means of raising drug awareness. In order to combat drug and alcohol misuse in the workplace, it is necessary to raise awareness amongst managers, supervisors and staff, arming yourselves with the knowledge necessary to tackle this problem and create a safer, happier, substance-free working environment. Until recently, our drug and alcohol awareness training has only been available to NHS trusts, private hospitals, probation services, community drug and alcohol treatment centres and related healthcare professionals. We can now offer you the opportunity of gathering this valuable information in the form of straight-forward and comprehensive training seminars, conducted on your premises and tailored to suit your individual company needs. We supply everything you could possibly need to successfully raise drug awareness within your organisation, along with easy to use on-site drug and alcohol tests (with free technical support), UKAS accredited laboratory services, and training/consultancy in policy development and implementation - all at competitive prices which are kind to your budget. How substance abuse affects a company. Interesting and informative facts about recognising the effects, signs and symptoms of drug misuse. How to recognise the paraphernalia associated with drug use. How to develop a successful drugs and alcohol policy. How to implement a written drugs and alcohol policy, as recommended by the Health and Safety Executive. 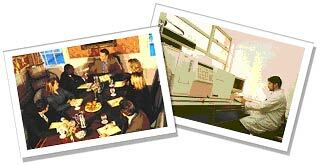 Drug screening in the workplace and the surrounding issues. Methods of a low cost start-up so that every company can afford to have a policy in place. for further information, pricing, or to book an on-site Drug-Aware drug and alcohol awareness training session for your staff. Could your company have a substance misuse problem? Even though many companies believe they are free of substance misuse in the workplace, studies show that over 55% of UK companies already have a drugs and alcohol policy in place. The Health and Safety Executive recommend implementing an agreed written policy regarding substance misuse, and to have systems in place to tackle this problem if or when it arises. Such measures have been proven to save companies thousands of pounds every year by reducing accidents, ill health, absenteeism and by raising employee morale and improving productivity. Substance misuse is rarely immediately evident, and yet it permeates every workforce. 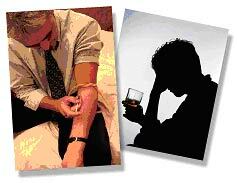 Perhaps surprisingly, 1 in 25 people, the majority of whom are employed, have a problem with alcohol dependency. 40% of the workforce under 40 years of age (and 45% of those aged between 16 and 29) have experimented with illicit drugs. And 25% of those seeking help for drug problems are in employment (statistics published by Alcohol Concern). The Chartered Institute of Personnel and Development reports that 10% of the typical workforce has a drug or alcohol problem. On this basis, a company without a system in place clearly has an unrecognised problem which will be costing it money and putting its employees at risk. If your staff are not familiar with their responsibilities under the above legislation, there is a real possibility of prosecution or litigation against them, the company or even YOU! If you do not wish to implement a policy at this time, invest in Drug and Alcohol awareness training specially tailored to the needs of your staff - call us on 0845 900 2755 to discuss your requirements. This is the first easy step towards a drug-free workplace and may be all you require. The second step is the development of a straight-forward drugs and alcohol policy which is designed to protect yourself, the company and your staff from litigation, along with measures to change the workplace culture to reduce accidents, insurance claims, absenteeism and ill health. We can help you to achieve this with minimal disruption. 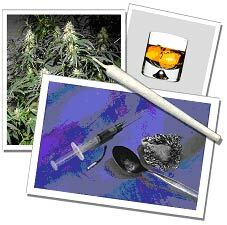 A drugs and alcohol policy can be implemented with very few obstacles. Having a drugs and alcohol policy does not mean that you are obliged to drug test your staff. The cost of implementing and running a drugs and alcohol policy is very low. In the majority of cases, costs are more than covered by the savings you make by having a cleaner workforce. A drugs and alcohol policy is not a weapon to dismiss troublesome staff. It is designed to assist and support those with a genuine problem, so that they can be helped to return to full health and former performance levels, both in and out of work, and to prevent the unnecessary costs of recruiting and training replacement staff. Both staff and unions generally welcome policies whose primary objective is to uphold the welfare of employees. Drug awareness training for your management and/or staff. This can also include training on how to conduct on-site drug testing using rapid drug / alcohol test kits - or procedures for sending samples off for laboratory screening. Conducting a drugs and alcohol related risk assessment. Developing and implementing a drugs and alcohol policy. Pre-employment screening for potential employees. (Which holds no legal implications for an employer). Our initial consultations are free, with no obligation whatsoever. There is no hard-sell at Drug-Aware, just friendly experts to help answer your questions and discuss all of your requirements, without pressure. Get an information pack today! One of Drug-Aware's key supporting services is the provision of detailed technical information for both medical professionals and employers. We operate a technical helpline to answer any questions that may not be covered by these web pages, and actively encourage customers to contact us if they are unsure of anything. Drug testing and drug awareness is a very specialised field and one which is continuously evolving, so please feel free to browse our drug information section to help answer your questions, or failing that, please contact us for further information. Disclaimer - Whilst Drug-Aware.com has made every effort to ensure that all information on this web site is current and accurate, we cannot be held responsible for any losses, damages, costs and other consequences resulting directly or indirectly from using this site and any information or material available from it. To the maximum extent permitted by law, Drug-Aware.com excludes all liability to any person arising directly or indirectly from using this site and any information or material available from it.